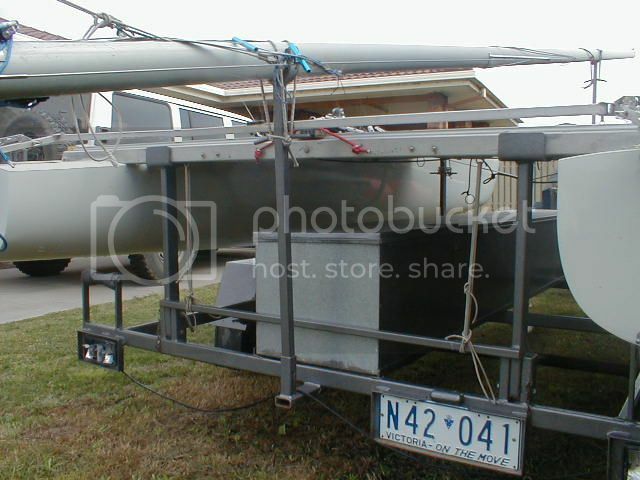 Mosquito trailers either support the hulls on shaped pads or on beam supports (and sometimes both). Beam supports are probably easier to construct, and provided they are well covered with some hard rubber material should give almost no wear on the boat. 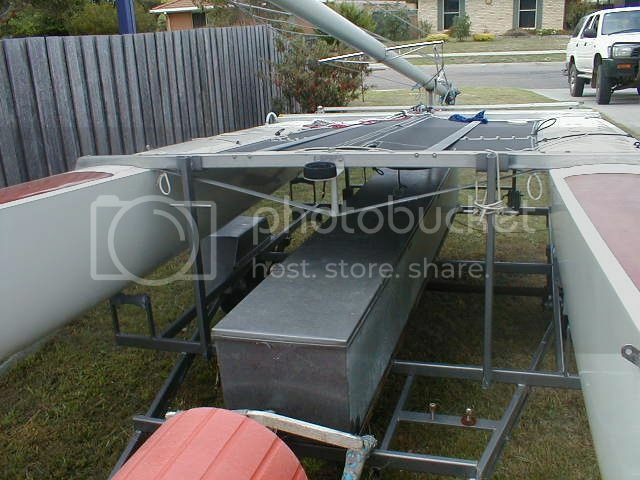 Here are some photos which show a simple beam support trailer. 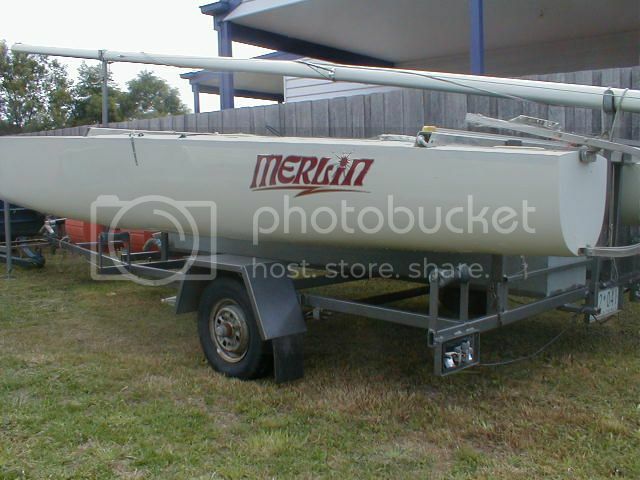 The trailer needs some rubber rollers so that the boat can be slid on and off the trailer, but as you can see, once the boat is on the beam supports it doesn't touch the rollers. 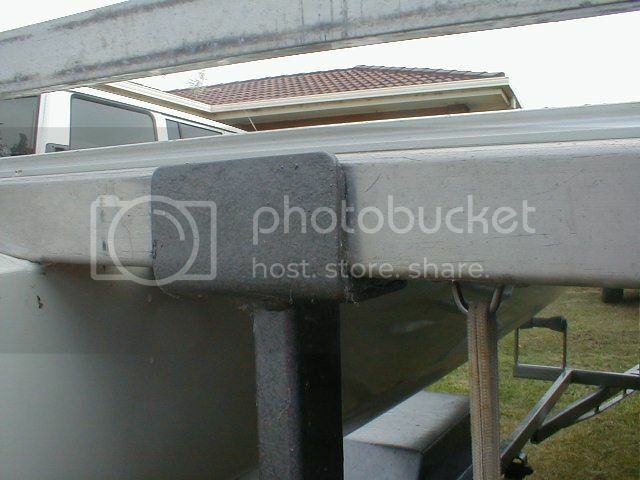 The front supports are usually fixed in place - welded straight to the trailer. The rear supports are hinged so that they will drop back and down to the ground. Right out of the way so the boat can slide off the back. The supports are also joined in this case so they move together and a pin is used to hold them in the UP position. Ropes and pulleys are also used sometimes to hold the supports up against the rear beam. Beam supports are just some right angle steel with rubber to protect the beam. In this case ropes are used to tie the boat down to the supports but it's also fairly common practice to make the beam supports U-shaped so they go over the top of the beam as well. Then no rope is required.